Perfect for businesses, groups or social media influencers interested in offering t-shirts for their customers, group, employees or followers etc... We are here to offer a unique service and help grow your brand or business. We are not a silkscreen print shop, not here just to sell shirts. 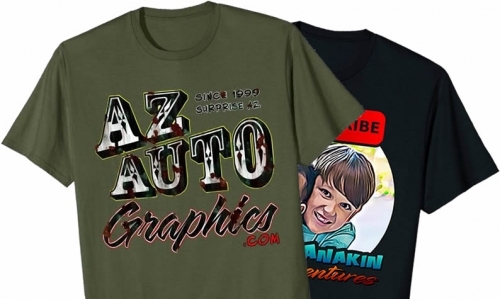 - We put your logo on shirts for branding and advertising. - We split the royalties on orders each month. The amount will depend on the initial set up fee and agreement. What are the benefits of this compared to ordering the shirts yourself? - Free RETURNS and customer service.